"Hire Lawyers, not Law Firms." Michelle Burton is the Managing Partner of Shoecraft ♦ Burton LLP, a boutique civil litigation firm specializing in complex insurance coverage, bad faith defense, insurance defense, professional liability and regulatory compliance. Ms. Burton has obtained numerous jury trial defense verdicts for her clients against multi-million dollar claims throughout California. In addition to her trial practice, Ms. Burton is a Certified Appellate Specialist and has authored and argued numerous appeals addressing insurance-related matters including Douglas v. Fidelity Insurance Company, the leading case on rescission in California. 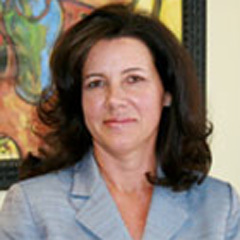 She was trial and appellate counsel on a case consolidated for oral argument with Lee v. California Capital Insurance Co., the recently-decided case which provides important guidance to appraisers and umpires for appraisals involving a disputed scope. She advocated many of the contentions adopted by the Court of Appeal in its published decision. Ms. Burton provides Fair Claims Training, Good Faith Claims Handling Training, SIU Training and Appraisal Training for her clients. She has also been a panel speaker at the Association of Business Trial Lawyers Annual Seminar on “The Use of Social Media in Jury Selection,” “The Use of Technology During Trial,” “Navigating Insurance Issues in the #MeToo Era,” and was a speaker at the DRI on “Insurance Coverage for the Cannabis Industry.” She has also presented at the Combined Claims Conference on the topic of property appraisals and has given webinars on policy rescission and misrepresentation, good faith claims handling practices, and insurer settlement obligations. She is currently the President of the San Diego Chapter of the Association of Business Trial Lawyers, was recognized as a Lawyer of Distinction in 2015-2018 in Civil Litigation, Super Lawyer in 2018 and recipient of Women in the Law Awards for her legal expertise. She is a Fellow of the American Bar Foundation which is open to one percent of lawyers for their commitment to the legal profession and their community. Ms. Burton was the Media Chair for the Informed Voters Project educating the public about judicial elections, is the President of Run Women Run a non-partisan Political Action Committee dedicated to the advancement of women in politics and was the recipient of the bronze Presidential Service Award for community service. Ms. Burton is frequently asked by media to comment on political and legal issues. Ms. Burton’s practice focuses on defense of insurers in first party bad faith claims, complex coverage disputes, suspect and fraudulent claims, business disputes and defense of insureds in construction, premises liability and professional liability claims including broker errors and omissions. Ms. Burton also has expertise in the area of affordable housing. Ms. Burton is both an accomplished trial attorney and adept legal writer. She has obtained defense verdicts against multi-million dollar claims for her clients throughout Southern California. Ms. Burton has earned the respect of her peers and trial court judges for her tenacious, tactful and adept litigation skills. Ms. Burton has also authored numerous appeals both published and unpublished including recently overturning a 1.9 million punitive damages award against an insurer on JNOV and a 1.3 million dollar punitive damages award against an insurer. Ms. Burton was appellate counsel on one of the leading cases on rescission in California concerning material misprepresentations on an application for homeowner’s insurance. The First District Court of Appeal agreed the trial court failed to instruct on a central theory of the case and the jury instruction on rescission misstated the law resulting in reversal of an $836,000 underlying verdict and upholding JNOV in connection with the 1.9 million dollar punitive damages award. Ms. Burton has authored articles on insurance coverage issues and is routinely called on by clients to render coverage opinions and draft policy language and endorsements to comport with new law. Ms. Burton also provides litigation and trial strategy consulting for her clients across the country. Ms. Burton is admitted in the State of California, all California State Courts, and the United States District Court for the Southern District of California and the Supreme Court of California. She is also admitted to the State of Washington and all State Courts. Ms. Burton is a Certified Appellate Specialists in California. Ms. Burton is the President of the Association of Business Trial Lawyers, San Diego chapter, and a member of the Litigation Section of the State Bar of California. Member of the American Bar Association, San Diego County Bar, Los Angeles Country Bar, Lawyer’s Club, California Women Lawyers. Legal and Political Consultant for local media, Ms. Burton is called upon by local media to provide legal analysis on noteworthy cases and political issues. Benyamine v. Pacific Specialty Ins. Co.
Settlement favorable to Pacific Specialty reached after 3 days of trial in connection with a bad faith law suit arising out of the appraisal process. Rouland v. Pacific Specialty Ins. Co.
Defense Verdict – 5 week trial. Plaintiffs claimed hidden decay in a sewer pipe caused a landslide at their home. PSIC denied coverage on the grounds sewer pipe was not the predominate cause of the loss. Plaintiff sought bad faith and punitive damages in excess of 9 million dollars. Allstate v. Pacific Specialty Ins. Co.
Defense Verdict – Allstate defended a nasty neighbor dispute and PSIC declined. PSIC’s coverage position was determined to be correct. 35 minute Defense Verdict. Plaintiff claimed injures including PTSD after an alleged rescue of a minor. Plaintiff sought damages in excess of 500,000. Roepel v. Pacific Specialty Ins. Co.
30 minute Defense Verdict after 5 week trial. Plaintiff claimed PSIC improperly rescinded her policy after a fire loss. The jury found Plaintiff made material misrepresentations on her application. Morgan v. Pacific Specialty Ins. co.
Nonsuit Granted. Plaintiffs sued PSIC for breach of contract and bad faith following a fire at their home. Summary judgment was granted as to bad faith on a finding of genuine dispute. After the presentation of Plaintiffs case the court granted non-suit on breach of contract. Vanderhyde v. Pacific Specialty Ins. Co.
Defense Verdict after 4 week trial. Plaintiffs claimed they were underinsured in the 2003 wildfires and sued PSIC for bad faith an punitive damages. JNOV granted as to 1.9 million dollar punitive damages award. Ms. Burton was asked to assist after an adverse trial resulted in an award of bad faith and punitive damages. Ms. Burton is currently handling the appeal. Following a defense verdict the court of appeal found the insurer properly rescinded the insurance policy. The court of appeal affirmed non-suit in favor or the insurer on the grounds plaintiffs failed to complete repairs within the statutory time frame and could not recover replacement cost. The Federal District Court of Appeals remanded a cost award after the trial court failed to engage in the proper analysis awarding just costs. Reversal of 1.9 million dollar bad faith verdict including punitive damages award. Seminal case involving indemnity agreements in construction contracts. Ms. Burton provides training courses for insurers on the California Fair Claims Practices Regulations, SIU Regulations and has been a panel speaker at the Combined Claims Conference on issues involving 2071 property appraisals. She has been a panel speaker for the Association of Business Trial Lawyers on the use of social media in jury selection. Ms. Burton is assists her local soccer club in fundraising efforts and is also dedicated to the advancement of women in politics and the law. The information provided in the Shoecraft Burton LLP web site is purely for informational purposes. It is not intended to create or promote an attorney-client relationship, and does not constitute and should not be relied upon as legal advice. It is not intended to seek professional employment in any state where lawyers in the firm are not admitted to practice, or in any state where this web site would not comply with applicable requirements concerning advertisements and solicitations.